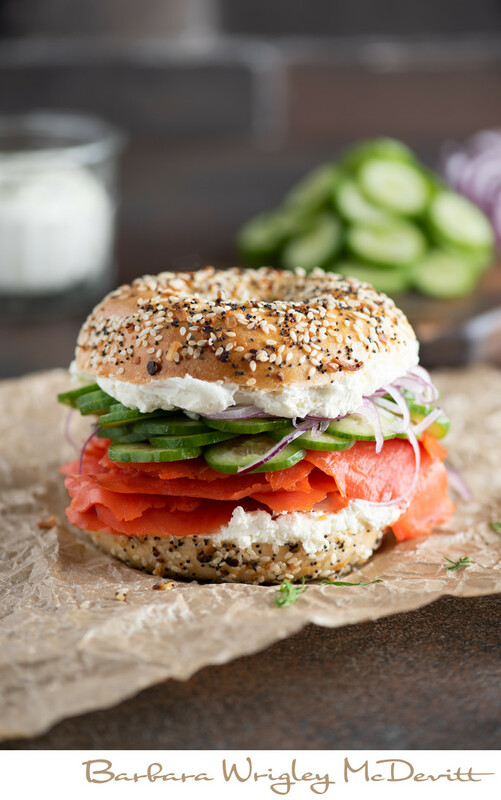 This New York Bagel is toasted and then spread on both sides with cream cheese and dill. Smoked salmon (or lox) is layered on top of the cream cheese - try at least three layers to make it extra "meaty." Razor thin cucumbers top the salmon with razor thin red onions on top of that. It makes an excellent breakfast or lunch and dare I say dinner too?